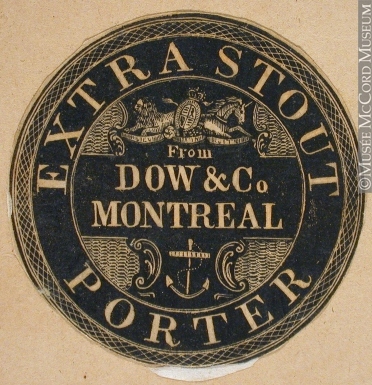 As this evocative label from the 1800s shows, the term “stout porter” has been used for a long time, and didn’t result from the fevers of a craft beer writer. Beer historians seem unanimous – anyway they should be – that there is no essential difference between porter and stout. First there was dark brown beer, and the strong kind was sometimes called brown stout. This was a bitter, somewhat roasty drink of beer but otherwise made from the materials all beer is. The regular kind, of lower strength and lighter body, ended by being called porter. Arguably, porter is the genus: all stout is porter, not all porter is stout. Even this understanding of it breaks down in the sense that some strong brown beer was always called porter, or double porter or Imperial porter, and some stout was sold on the weak side and could be another brewer’s porter. The British never laid down statutory rules for such matters, one of their strengths. There can be two words or yet more for the same thing – it’s a free country (still). One of the few negative consequences of the great beer writer, Michael Jackson, was that in noting Guinness stout uses – today – a measure of unmalted barley, people got the notion stout must be so mashed (except Imperial stout), and porter should be all-malt. Not so. All porter and stout were all-malt by law in Britain until first sugar was allowed in brewing, in 1845, and finally any fermentable grains malted or no. This is why many stouts, especially on draft, have the dry, acerbic taste characteristic of modern Guinness and many porters are richer in character. There is nothing wrong with this modern schema, but it has no historical basis. One can cite many 1800s proofs that at best, stout was simply a stronger porter but otherwise both were the same. If you ask, I’ll show you. The conjoined term, “stout porter”, proves the proposition, were more convincing needed. *London rhyming slang for “son”.